Comment: We have a split level home with FHW heating. We want to install either central air or splits on the upper living level only. This level is 28&acirc;&#128;&#153; X 52&acirc;&#128;&#153; plus a 12&acirc;&#128;&#153; x 12&acirc;&#128;&#153; 3 season fully enclosed room with lots of windows. The stand up attic is easily accessible with a solid decking end to end save 36&acirc;&#128;&#157; strip the full length of the attic on both sides ( front and back). Comment: We have a split level home with FHW heating. We want to install either central air or splits on the upper living level only. This level is 28â X 52â plus a 12â x 12â 3 season fully enclosed room with lots of windows. The stand up attic is easily accessible with a solid decking end to end save 36â strip the full length of the attic on both sides ( front and back). Comment: Looking for Mitsubishi units to be installed in 4 rooms, and potentially 5. Installation cannot be done in April, but otherwise, could start right away or any time in May or June. Comment: Santa Fe dehumidifier used to control moisture in crawl space is not working. I have removed it from crawl space so can drop it off if that is more convenient. Gloucester HVAC & Air Conditioning Contractors are rated 4.62 out of 5 based on 422 reviews of 17 pros. 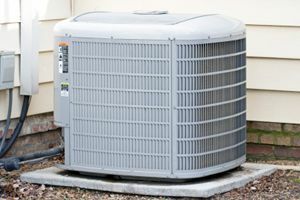 Not Looking for Air Conditioning Contractors in Gloucester, MA?